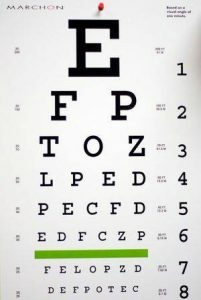 Eye Exams and More! See Our Athens Eye Care Services! We are confident that we can provide the eye care you need in North Alabama. Dr. L. Leanne Whitaker & her staff at the Athens Eye Care Center emphasize personal care for all of our patients so that you have a positive experience from the moment you step through our door until check out. Athens Eye Care Center proudly serves Athens, AL with the latest eye care services. Dr. Leanne Whitaker offers comprehensive eye exams for patients of all ages that utilize advanced eye health technology to detect early signs of glaucoma, diabetic retinopathy, dry eye, cataracts and macular degeneration. Below you'll find a list of some of the key eye care services that our optometric practice offers. Including Glaucoma, Macular Degeneration, Diabetes, and Cataracts. We use the most up-to-date technology to ensure the best eye care possible. Learn about the different types of tests and equipment you may experience on a visit to Athens Eye Care Center.